When Wandering Aengus got its start more than a decade ago, cider was an old-timey drink lost in a sea of IPAs. It was, Gunn says, “the cider of the future back then.” Over the last few years, the future has been catching up. 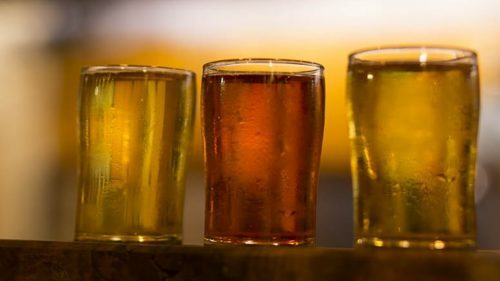 As of September 2018, there were a whopping 57 cideries operating in Oregon, almost four times as many as five years ago. Many of the established cideries in the Willamette Valley — such as 2 Towns Ciderhouse, Carlton Cyderworks and E.Z. 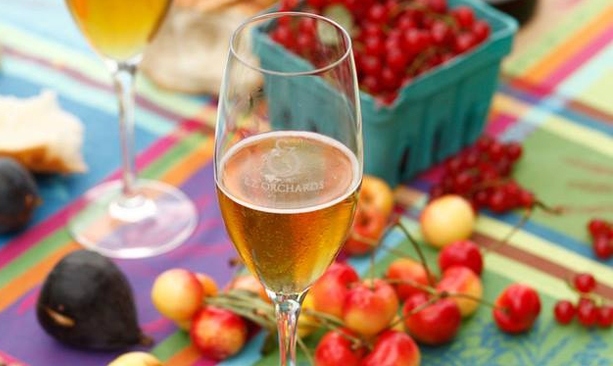 Orchards Cidre — are among the best regarded in the country. Fans are enjoying the diversity and complexity of flavors that the newer players have brought, including Fox-Tail Cider & Distillery in Odell, near Hood River; Apple Outlaw in Jacksonville; and Doc Fields Cider in Redmond. In autumn, it’s not hard to find tasty seasonal flavors such as Portland Cider Company’s pumpkin spice cider, a semi-sweet apple cider made with 100-percent freshly pressed Northwest apples combined with a blend of rainy-weather spices including cinnamon, nutmeg, cloves, allspice and ginger. Using fresh-pressed fruit from Walla Walla Valley, Blue Mountain Cider in Milton-Freewater makes cherry and pear ciders to celebrate harvest season. 12 Bridge Ciderworks in Oregon City whips up a seasonal Maple Haze, a maple syrup-hazelnut semi-sweet cider. Like grapes, apples are subject to the conditions of climate, soil and weather. The fruit grown in Oregon bears its own signature flavor. “A Granny Smith grown in Virginia and a Granny Smith grown here are going to be different,” Kohn says. There are now 57 cideries operating in Oregon, including some of the best regarded in the country. E.Z. Orchards uses French apples that sound like they came straight from the belle epoque: Marie Ménard and Frequin Rouge. Willamette Valley cideries make traditional products that are long on complexity and depth, exhibiting what’s known among cidermakers as a kind of holy trinity of acid, tannins and sweetness. You can’t get those qualities from eating apples, especially the bitterness that comes from tannins. Cider apples are not grown for eating; they’re bitter and tart (or “sharp,” as cidermakers call them). Instead of familiar varieties like Honeycrisp and Red Delicious, cidermakers use apples with more exotic names, like Kingston Black and Dabinett — two varieties Carlton uses in their Citizen blend. Down the road from Wandering Aengus, at E.Z. Orchards, cidermaker Kevin Zielinski uses French apples that sound like they came straight from the belle epoque: Marie Ménard and Frequin Rouge. 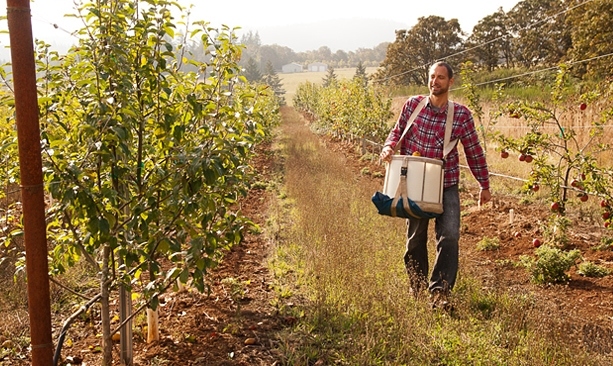 Like the craft breweries that preceded them, Oregon’s new cidermakers have a fanciful streak. 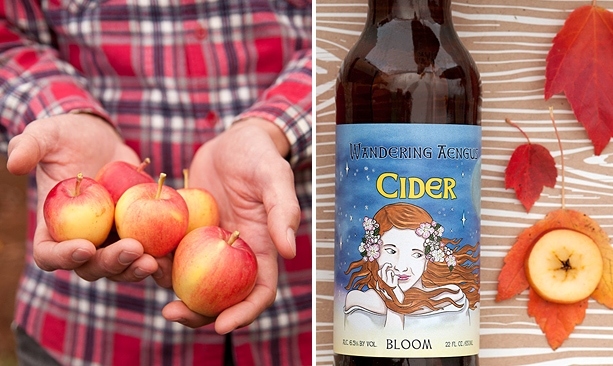 There’s a rainbow of fruit flavors to explore beyond apples — from marionberry, cherry and pear to 2 Towns’ Rhubarbarian; McMenamins Edgefield Winery’s “crangerine dream” (the rotating seasonal on tap from October to December); Bandon Rain Cider Company’s tartly refreshing cranberry cider (fresh from local bogs); and Reverend Nat’s Hard Cider’s Winter Abbey Spice Snakebite, one of their many collaborations with local brewers. Ciders are also appealing to beer fans with a mix of local Willamette Valley hops. When used in beer, they offset sweetness; they have a similar, if more subtle, effect in cider. Added after fermentation, hops infuse ciders with an herbal, earthy note. 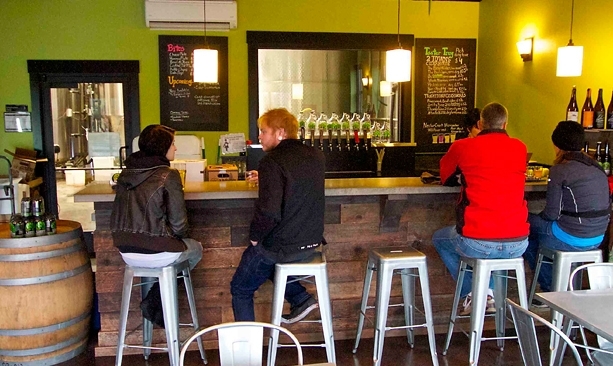 Enough cideries in Oregon now use hops that hopped ciders have become a regional subtype. Wandering Aengus even uses undried hops, rushed fresh from the hop fields a few miles away, in their hopped Anthem cider. 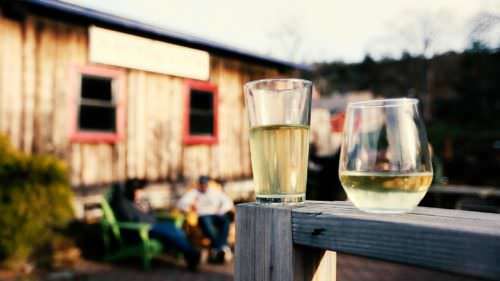 You’ll also find a big winemaking influence: In tasting rooms across the state, such as Rack & Cloth in Mosier, you can sip a variety of aged ciders, single varietals, single-barrel ferments and other innovative processes. Cider makers are always eager to talk about their techniques. Whatever the blend, good cider always comes back to local fruit. Luckily, there’s a lot of that in Oregon to go around. Have you dabbled in cider making? Attend a craft cidery startup workshop hosted by Widmer Brothers (Nov. 4-8, 2018). Cider Rite of Spring (April 6, 2019) ushers in the season with more than 30 local cider makers at Portland’s Leftbank Annex. 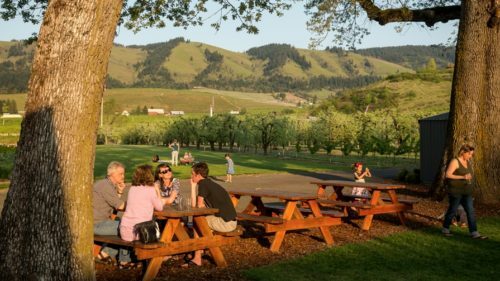 The Hood River Valley’s heirloom orchards have created an iconic cider scene, culminating in the annual Hood River Hard-Pressed Cider Fest (April 20, 2019), when more than 25 Pacific Northwest cideries pour their best taps for the public. 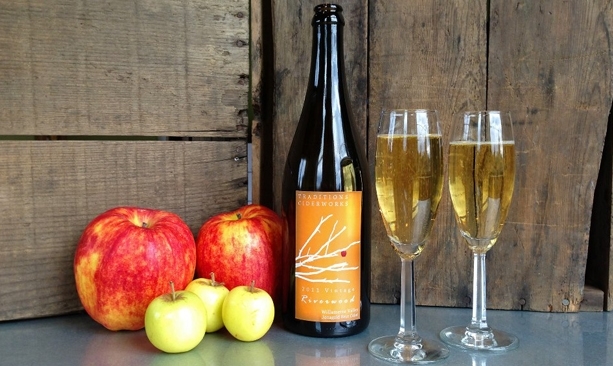 Oregon Cider Week is a 10-day celebration of local cider in late June, with special events, featured menus, happy hours and tap takeovers coordinated by cider makers across the state. The region’s largest cider festival, Cider Summit PDX, takes over The Fields Park for a weekend in late June. The annual Peche Fest (in early October) brings 25 rare, local peach ciders and beers under one roof at Saraveza in Portland. Jeff Alworth is the author of The Beer Bible, Cider Made Simple, and The Secrets of Master Brewers. He has been writing about Oregon beer for over two decades for newspapers and magazines, including Sunset and All About Beer, as well as on his long-running blog, Beervana.